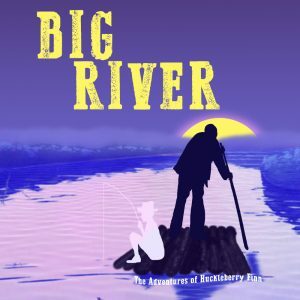 Muncie Civic Theatre presents BIG RIVER on the main stage April 5-7, 12-14, and 18-20. Thursday, Friday, & Saturday shows are at 7:30pm and the Sunday Matinees are at 2:30pm. Tickets are $18 for adults, $15 for groups of 10+, and $13 for students & children. Reserved Seating. Mark Twain’s The Adventures of Huckleberry Finn, comes to life on stage in this musical adaptation. Get swept down the Mississippi on hilarious and suspenseful adventures with scrappy Huck Finn and runaway slave Jim. This story of freedom and friendship, complete with an award winning score is a piece of masterful Americana. Contains Adult Language/Themes. BIG RIVER is presented through special arrangement with R&H Theatricals.